Don’t Get Caught in a Roku Activation Scam! Streaming boxes and sticks like Roku are likely to be popular gifts this holiday season. Unfortunately as the popularity of cord cutting increases, so have the number of scams seeking to target less savvy consumers. Starting in mid-2017 we began to hear reports directly from Tablo customers and other sources in the cord-cutting community saying an official-looking website required them to fork over credit card information to activate their Roku. Roku does not nor has ever required users to pay fees for setup, activation, or tech support. Once you purchase your Roku you can use it right out of the box with no additional payments required – unless you’re wanting to hook up subscription-based streaming services like Netflix. And in that case, you’d be paying Netflix, not Roku. From December 21 through January 1, any new customer to IPVanish can sign up for just $3.74/month — billed $89.99 every two years! IPVanish is the only true Top Tier VPN service in the world. This means we deliver the best VPN speeds, the most secure connections and the most competitive pricing anywhere. Our VPN network spans 40,000+ IPs on 1,100+ servers in 60+ countries, giving you the ability to surf anonymously and access the unrestricted Internet every corner of the globe. Even the Chrome Extensions will work on the new Edge. Wow! Microsoft really has made the conversion! ZDNet – By: Liam Tung – “Microsoft didn’t reveal many details about Edge’s transition to Chromium, announced last week, but company officials have now confirmed it’s aiming for Edge to support Chrome extensions. A dearth of extensions for Microsoft Edge has become one of the many obstacles to Windows 10 users adopting Microsoft’s modern answer to Internet Explorer. But following Microsoft’s announcement that Edge will move to Chromium, the company has revealed it may address the add-on gap by supporting the much larger population of existing Chrome extensions. ‘It’s our intention to support existing Chrome extensions,’ Kyle Pflug, a Microsoft Edge project manager, wrote on Reddit in response to users and developers seeking answers about the switch. Pflug didn’t clarify how Microsoft envisages extensions being installed. As Ed Bott noted, Microsoft is believed to be aiming to allow all existing Chrome extensions to work unmodified on the new Edge browser, but developers will still need to package the extensions for the Microsoft Store. Pflug also responded to Windows application developers looking for answers about what the switch would mean for Universal Windows Platform (UWP) apps and Progressive Web Apps (PWAs) if Microsoft ditched the EdgeHTML browser engine. Both app categories depend on EdgeHTML and may need overhauling if Microsoft completely abandoned them. However, Microsoft does ‘expect to offer a new WebView that apps can choose to use based on the new rendering engine’, according to Pflug. Microsoft is also aiming to enable PWAs to be installed on Edge from the web, rather than restricting installs to the Microsoft Store as it currently does for PWAs. 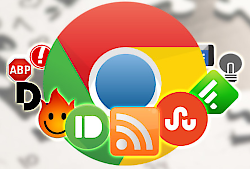 This move would be in line with Google’s current approach for Chrome. ‘We expect to provide support for PWAs to be installed directly from the browser (much like with Chrome) in addition to the current Store approach. We’re not ready to go into all the details yet but PWAs behaving like native apps is still an important principle for us so we’ll be looking into the right system integrations to get that right,’ wrote Pflug. Chrome Wins! Microsoft to Kill Edge! Motherboard – By: Owen Williams – “Owen Williams is a freelance writer and developer thinking about new ways to get the news. He created Charged (https://char.gd ) an, independent technology newsletter and blog that helps people keep up with the news that matters. After more than 20 years of fighting for relevance on the web, Microsoft is planning to scrap the underlying architecture of its internet browser in favor of Chromium. That alone is monumental, and the internet responded with both jubilation and hesitance as you’d expect: Internet Explorer’s legacy is finally dead! But, we just learned the full picture, with Microsoft announcing the move on GitHub Thursday, and it’s even bigger than we could have possibly dreamed of. Not only will Edge use Chromium as its rendering engine, but Microsoft is actively investing in developing the open-source engine further, to best optimize it for every device it touches. A rendering engine is the software your browser uses to display web pages. Different rendering engines have different quirks and features, maintained by their own parent companies, with the largest in use today owned by Mozilla, Google, Microsoft, and Apple. 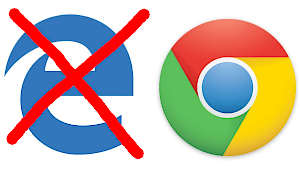 Yes, that’s right: not only will Microsoft shift to Chromium as its rendering engine, it’ll begin shipping Edge across all supported desktop devices on the planet, and it’ll start building it into the web platform within Windows. This is huge news for the industry across the board, and is poised to propel the web to a first-class experience on par with native application development, as well as making it a much better experience for a broad swathe of internet users who might not have power over what browser they’re using. One of the biggest problems today is that despite Chromium’s popularity, it’s really not very good on the resource front: it drains battery, hogs system resources and generally doesn’t play nice. This, largely, has been because Google and Chromium don’t own their own operating system (outside of ChromeOS), and don’t get exclusive access to low-level system APIs that Safari and Edge have enjoyed. Because Microsoft and Apple have historically had their own first-party browsers, Chromium was always destined to be worse: the project simply doesn’t have the platform resources that these giants had, and was always building a layer further away than the official browsers of each platform. Microsoft is, in essence, declaring that it’ll deliver a top-end browser experience, regardless of the platform you’re developing for, with the exact same engine on every device. Not only does it plan to optimize Windows for Chromium, but it’ll be sharing that work as well, porting it to ARM-based devices like the iPhone and ensuring that it’s resource-efficient at the absolute core: the OS level. But what really matters is what comes as a result of all of this work: the absolute best way to build cross-platform apps, on a scale we’ve never seen before. If you’re a business of any size and you’re looking to build an app for desktop or laptop users, frankly, the best choice out there today is Electron. It is no coincidence that Microsoft acquired GitHub, which happens to come with a little project called Electron as a part of that acquisition. Many popular apps leverage Electron under the hood, including Slack, Visual Studio Code, WhatsApp desktop and many others, largely because it’s so easy to target multiple system types with a single, common language underneath. Electron today, however, comes with a sizable disadvantage: it’s based on the Chromium browser, which means it’s bundled with an entire instance for each application that uses it on your machine. Having Slack and Chrome open, for example, spawns two isolated Chromium instances, both consuming resources to do much the same thing. Not only that, but because Microsoft is providing technical resources to every Chromium-based browser, Electron-based apps will gain a killer touch-friendly experience to boot, setting the stage for convertible devices to truly replace laptops. If Electron was already overwhelmingly the platform of choice despite its massive constraints, this is going to open a new tidal wave of web-based apps on the desktop. Why would you build in any other language at this point, if you can write once and run everywhere? Microsoft has made many attempts over the years to build frameworks for developers to use, which failed miserably. There was Silverlight, XAML, WPF, Metro, whatever else you can think of, but largely each technology has struggled to attract developers at a scale that mattered. Recently, however, Microsoft went all-in on progressive web apps as its next platform. PWAs are one of the more exciting developments on the web in years, allowing web-based applications to access many native capabilities without the need for a wrapper like Electron. They work offline, can send notifications, cache data, and so on, and many app developers, like Twitter, have built compelling first-class PWA experiences that work on Windows too. The ultimate power move in all of this is Microsoft showing how committed it is to the web as a platform for the future of apps. It wanted developers to build PWAs for the Microsoft Store, but now it’s putting the weight of its resources behind making those apps at home on the OS, expending massive amounts of resources to make them a great experience regardless of if you’re using one in Chrome or an Electron-wrapper. Not only is this the most constructive outcome of all of this, it’s key to opening up the desktop environment to the next-generation of web-enabled tools. Writing an application to custom-target every device out there is going to disappear, and Microsoft wants to own that as its bet for the future. The strategy differences here are very different to that of Apple, which has largely ignored any feature of the open web that might threaten its own dominance. There’s no web-based notifications in Safari on iOS, or the ability to execute tasks or caching in the background, and so on. Marzipan, Apple’s next-generation cross-platform app development framework, essentially has iOS apps back-ported to work on Mac-based hardware. Microsoft is throwing all of that platform-owning nonsense out of the window, saying that it just wants to provide a great, consistent way for developers to build apps that work wherever, written once. Sounds good to me, and this changes the game after years of bickering over which native platform was best to write for. As it turns out, it was the web all along. I believe that in the long-haul, this is the right horse to bet on, particularly as web tooling continues to improve so rapidly despite its age. It’s still early days, and Microsoft’s plans aren’t even fully baked yet, but I’m excited that we’re shifting into a new gear where web-based technology is treated as a first-party citizen by the operating system vendors. What’s astounding is that it feels like this is the right thing to be happening, even with Microsoft’s long history in web browsers. It wasn’t that long ago that Microsoft was being punished under antitrust law for forcing Internet Explorer on users, but the Microsoft of today has shown repeatedly that it wants to turn over a new leaf. It’s true that less choice is bad and may even hurt alternate browsers like Firefox, but it’s difficult to justify Microsoft continuing down the path of building a dedicated browser that nobody really wanted to use. This time is different because Chromium is an open source project, with multiple contributors already, so Microsoft throwing its weight behind the standard may actually encourage better collaboration on the project rather than leaving it to Google alone. 10 Steps to PC Safety! An unpatched machine is more likely to have software vulnerabilities that can be exploited. Turn on automatic updates, and allow them to update your machine, and reboot, afterward. There are a number of free anti-virus software packages. I recommend BitDefender Free. Strong passwords use a combination of letters, numbers, and special characters, or a multi-word pass-phrase. Create a unique password for each on-line account, NEVER re-use a password! LastPass can manage all of your passwords for you – and it’s free! 4) Back up on a regular basis. Scheduling routine backups can protect you from the unexpected. Always keep a few months’ worth of retrievable backups. Keep one backup on-site, and one in “the Cloud.” EaseUS Backup is free! 5) Control access to your machine. 6) Use email and the Internet safely. Ignore unsolicited emails. Do not open attachments. Be wary of ANY attachments, links, and forms in emails that come from people you don’t know, or which seem “phishy.” Avoid untrustworthy (often free) downloads. Use MailWasher Free to clean your email. When connected to the Internet, your data can be vulnerable while in transit. Use remote connectivity and secure file transfer options. Protect sensitive data. Use a good VPN package. I really like IPVanish. Please use THIS LINK to help the show, and get a great deal! Securely remove sensitive data files from your hard drive, especially when recycling or re-purposing your computer. Physical destruction of drives is the best way! 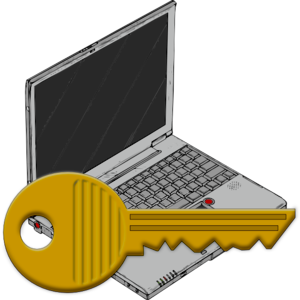 Protect sensitive files using the encryption tools built into your operating system. Windows, Mac and Linux computers use basic desktop firewalls to protect your computer files from being scanned. Make sure they are properly configured. 10) Most importantly… stay informed! Stay current with the latest developments: Follow me on Facebook and Twitter. Subscribe to my YouTube Channel. 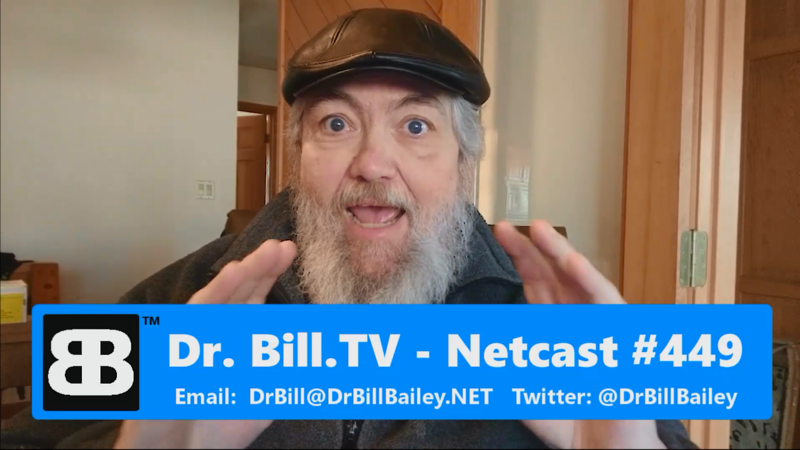 Read the Dr. Bill.TV Blog!